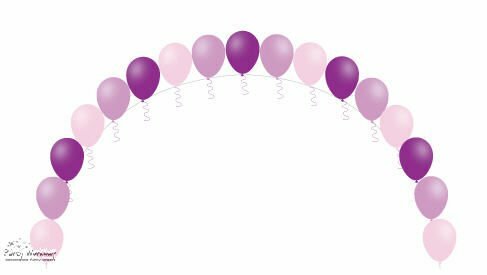 Single Line arch consisting of 21 Latex Balloons, weighted with Large Sand Weights either side. Once your online order is placed, a member of our team will call you within 24 hours to confirm colour details and the height you require. Please note this is a pick-up only service, if you wish to place an order for Delivery please call to check availability before making your payment.